You cannot make the egoless state into a future goal and then work toward it. All you get is more dissatisfaction, more inner conflict, because it will always seem that you have not arrived yet, have not “attained” that state yet. When freedom from ego is your goal for the future, you give yourself more time, and more time means more ego. Look carefully to find out if your spiritual search is a disguised form of ego. Even trying to get to get rid of your “self” can be a disguised search for more if the getting rid of your “self” is made into a future goal. Giving yourself more time is precisely this: giving your “self” more time. Time, that is to say, past and future, is what the false mindmade self, the ego, lives on, and time is in your mind. It isn't something that has an objective existence “out there.” It is a mind structure needed for sensory perception, indispensable for practical purposes, but the greatest hindrance to knowing yourself. 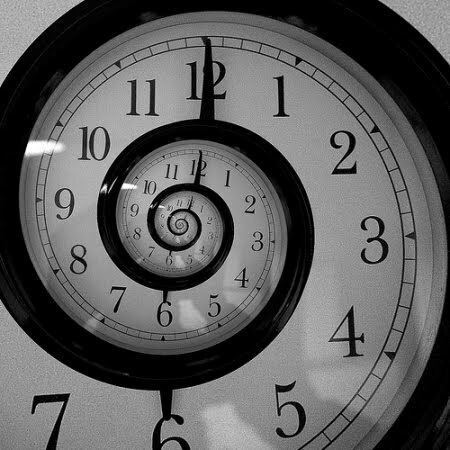 Time is the horizontal dimension of life, the surface layer of reality. Then there is the vertical dimension of depth, accessible to you only through the portal of the present moment. So instead of adding time to yourself, remove time. The elimination of time from your consciousness is the elimination of ego. It is the only true spiritual practice. Whatever is or happens is the form that the Now takes. As long as you resist it internally, form, that is to say, the world, is an impenetrable barrier that separates you from who you are beyond form, separates you from the formless one Life that you are. When you bring an inner yes to the form the Now takes, that very form becomes a doorway into the formless. The separation between the world and God dissolves.